Built to Your Specifications & Tailored to Your Needs!. AJR Hand Builds Them....Your Way! 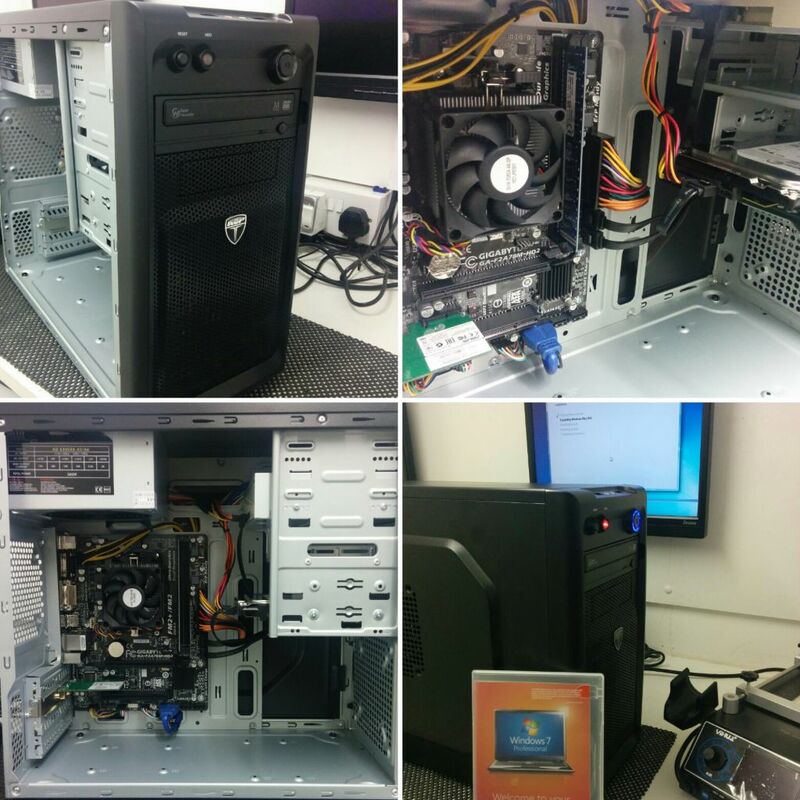 Are you looking for a custom Built desktop PC in Rotherham, South Yorkshire? 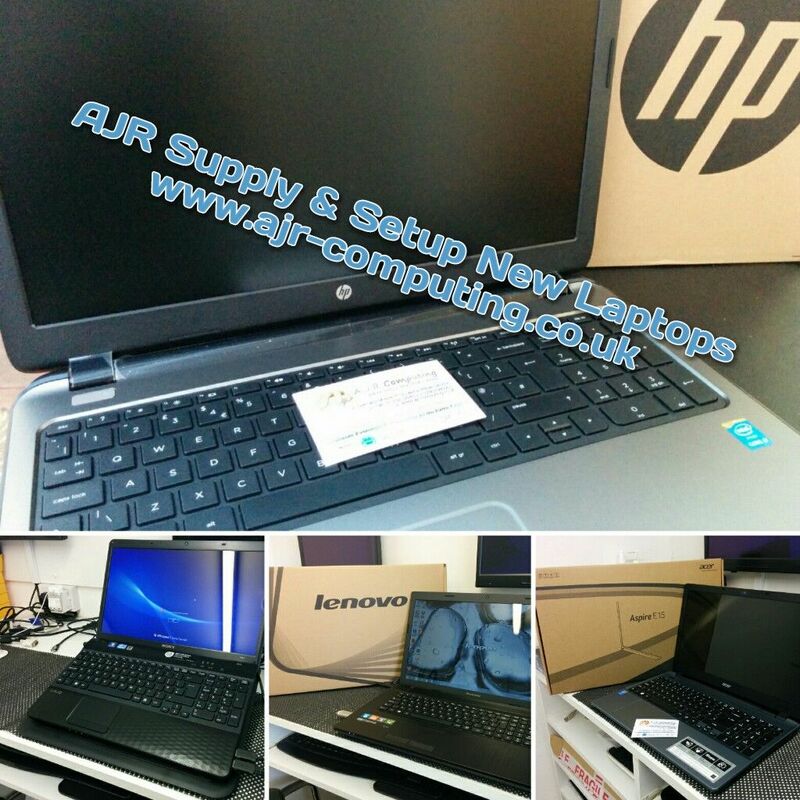 Or wanting to upgrade your existing PC or Laptop? 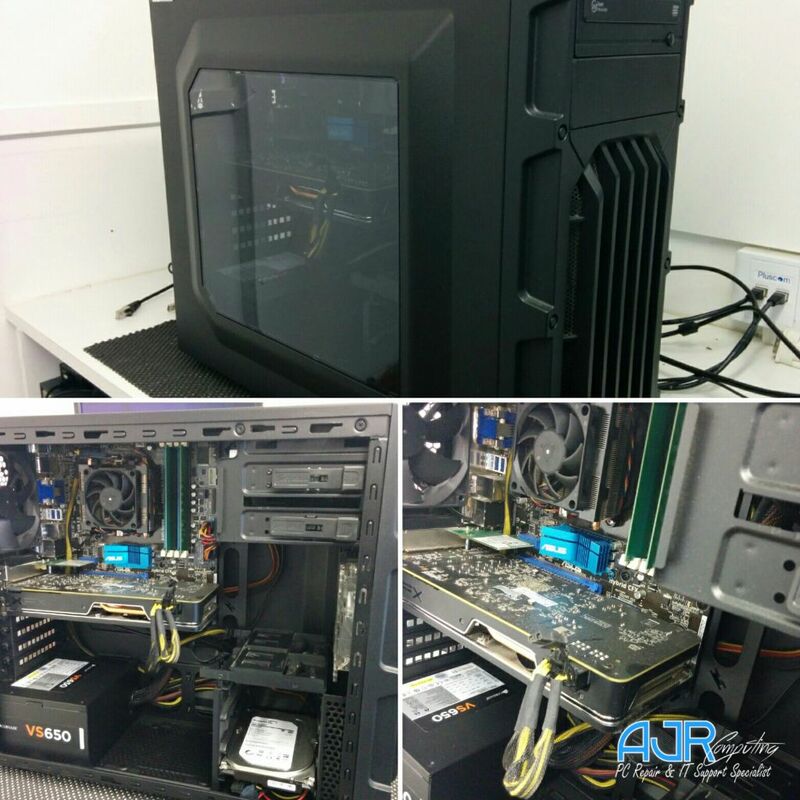 AJR specialise in building custom built to customer’s to user specifications. 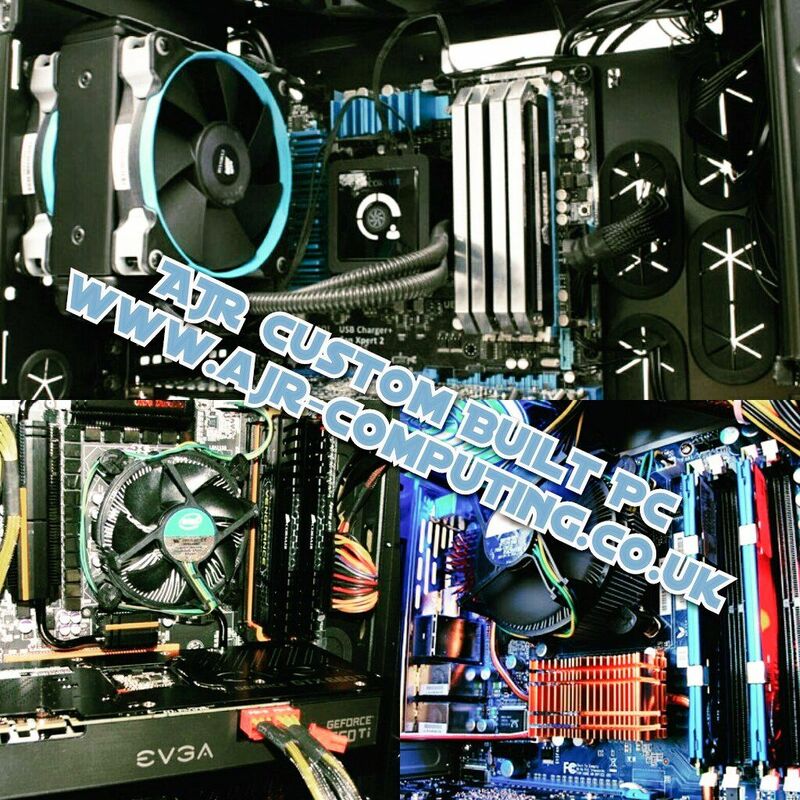 So whether it's a computer for a particular work application or a high end gaming computer or you just want more performance out of your existing computer, give us a call to discuss your requirements. If you're not flat out looking for the fastest custom built PC, regardless of your needs and without a budget limit, you can definitely save some cash by investing in a balanced configuration, which means not overspending on the CPU. If you're not going to be doing intensive video editing, multi-tasking, or gaming, consider an entry-level CPU from AMD or Intel. Your computer's hard drive is more than just a place to store digital stuff. It also has a tremendous impact on the responsiveness of your PC, as more often than not it's the slowest component in your computer. The good news is that a new type of hard drive technology is beginning to mature and reduce in price. Solid state hard drives have no moving hardware, are completely silent and run much cooler than mechanical hard drives with rotating platters. The only downside is they're more expensive. For the price of a high quality 128GB SSD, you could buy a premium 2TB hard drive. But the spend is without a doubt money well spent, you will be surprised at just how quick and quiet your computer will be with an SSD drive upgrade. That's why our customers who have computers at home or office environments using mechanical drive are upgrading to SSD solid state drives to speed up the computer overall speed and using the older bigger drive as storage!, trust AJR its the single most important upgrade or part to have installed in your new custom built PC AJR loves to see when it puts a smile on peoples' faces when they try it out for the first time - it's really a shift in performance that must be experienced. The Processor (CPU: Central Processing Unit) is the Brain of your Computer, the more powerful it is, the better the performance and the faster the response times will be. Your computers Memory (RAM: Random Access Memory) is a “Volatile” storage medium used to hold information for your Processor. 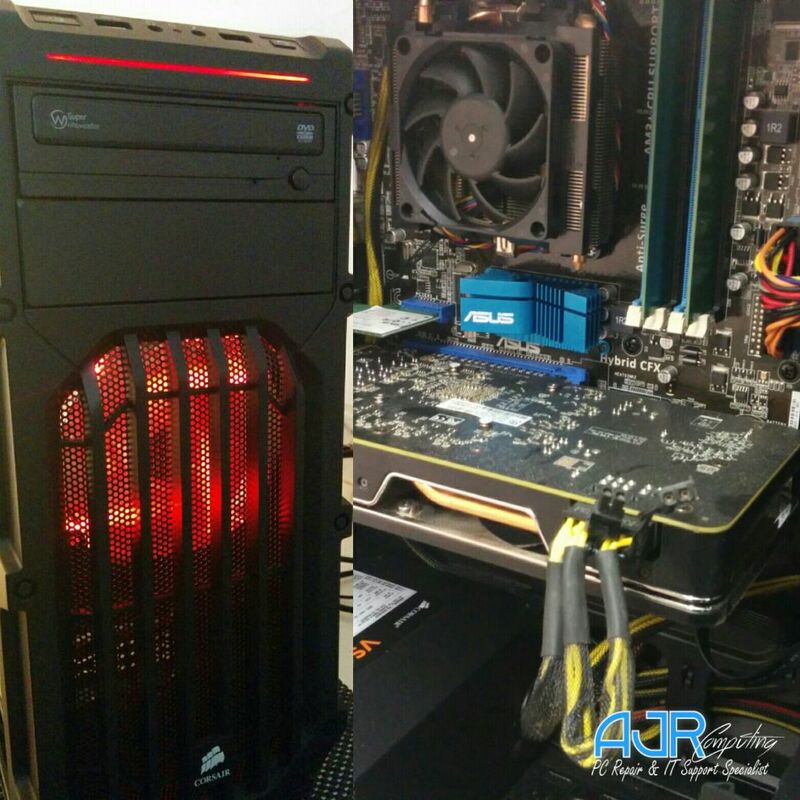 RAM is required to allow the images to be displayed on your monitor, hold the data from the key presses on your keyboard, retrieve data from your hard disk to play music, hold information for 3d gaming, web browsing etc. RAM is known as a “Volatile” storage medium because it does not continue to hold the information in it once it loses power, should your pc crash or have a power cut all information stored in the RAM is lost. RAM is much faster than the Hard Disk drive in your computer; it has no moving parts and operates at various frequencies (the higher the frequency, the faster the RAM operates). DDR3 (Double Data Rate Third Generation) memory is currently the main stream memory type, it ranges: 800Mhz, 1066Mhz, 1333Mhz, 1600Mhz and up (Most Pc’s come with 1333Mhz DDR3 as of Jan 2013) How much RAM do I need? That’s what most people ask! We would recommend no less than 4 Gigabytes of Memory in a Pc at the present time, 4 Gigabytes is the “sweet spot”. Any less and you might notice slow down. Any more than 6 Gigabytes is when your getting into some High End gaming (HD resolutions of 1920x1080 etc) or 3d Graphic design etc. The Hard Disk Drive in your computer is the main storage medium, it is used to hold all your computers information ready to be called by the processor when you request it. Movies, Music, Games, everything on your pc is stored on your hard disk. If you have lots of games, movies and music then you would need a large hard disk. Hard Disk Drives come in various sizes and speeds, a standard Serial ATA Hard Drive (The Connection Interface For The Motherboard) can operate at 5400Rpm, 7200Rpm & 10,000Rpm. The faster the Rotations Per Minute, the faster the access times. A Hard Disk Drive has moving parts, a small read/write head moves extremely fast over a spinning metal platter adjusting the data stored on the disk. Solid State Drives are also available, these are currently quite expensive and are of a smaller capacity than standard hard drives. Solid State Drives are huge Flash drives holding gigabytes of Flash memory, these have no moving parts so are much faster than standard hard drives. We would recommend between a 500Gb & 1 Terabyte hard drive. A standard single layer DVD can hold 4.7 Gigabytes of data, a CD-Rom holds around 700Megabytes of data (1000 Megabytes = 1 Gigabyte). An average Mp3 File is around 3Mb, a decent quality DivX video file is around 800Mb. If the Processor in your computer is the brain, then the Motherboard is most certainly the body. A motherboard is also known as a main board, system board and logic board. They can be found in a variety of electrical devices, ranging from a TV to a computer. Put simply, it is the central circuit board of your computer. All other components and peripherals plug into it, and the job of the motherboard is to relay information between them all. Despite the fact that a better motherboard will not add to the speed of your PC, it is none-the-less important to have one that is both stable and reliable, as its role is vital. A motherboard houses the BIOS (Basic Input/Output System), which is the simple software run by a computer when initially turned on. 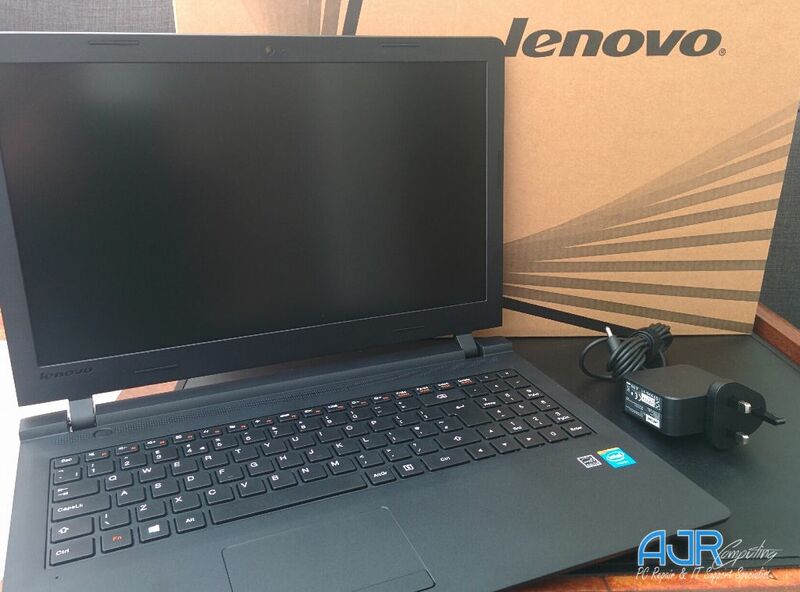 Other components attach directly to it, such as the memory, CPU (Central Processing Unit), graphics card, sound card, hard-drive, disk drives, along with various external ports and peripherals. The motherboard may also contain integrated graphics and on board HD Audio. All motherboards come with expansion slots, some have more than one. One example of a typical expansion port on a motherboard would be a PCI Slot (used for High Quality Audio Cards, Wireless Network Cards, TV Cards etc.) Most motherboards also include a PCI-Express expansion slot for a Dedicated Graphics card. A Standard motherboard will also come with 4x USB 2.0 ports and more recent motherboards will come supplied with a number of USB 3.0 ports. The optical drive in a PC is also known as the CD/DVD or Blu Ray Drive - This is an optical media device used to play your music CD's, install software and burn Media. 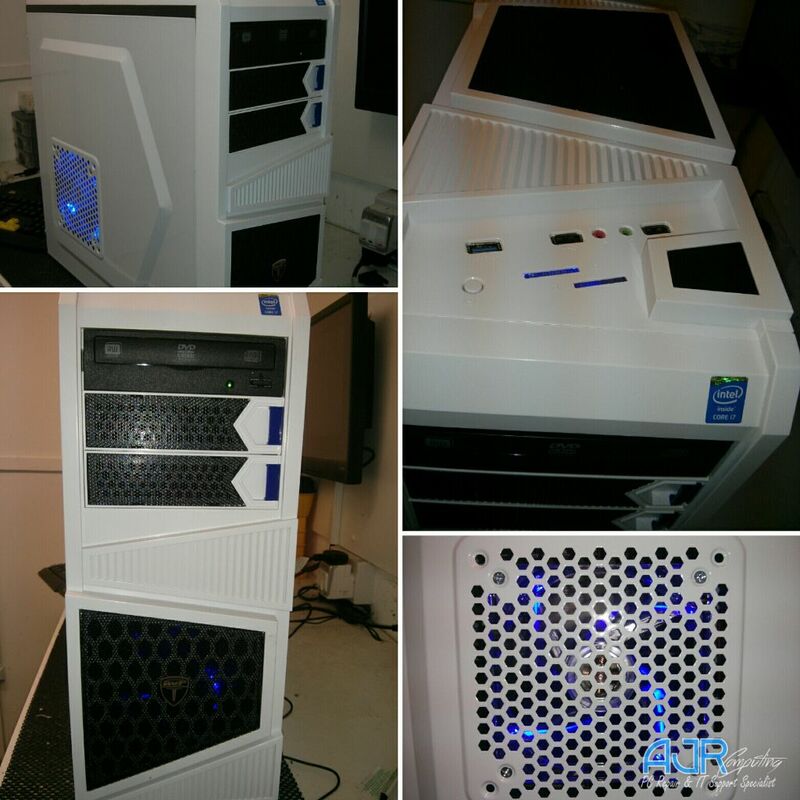 •	Dual Core Processor •	3 to 4 Gigabytes Of DDR3 Memory (RAM) •	500Gb SATAII Hard Disk Drive (7200Rpm) •	PCI Express Motherboard With Onboard Audio & Video •	DVD-Rw Drive You could easily add a 3d graphics card to the above and have a standard gaming Pc, just make sure its a Mid Range graphics card with at least 1Gb of onboard memory. 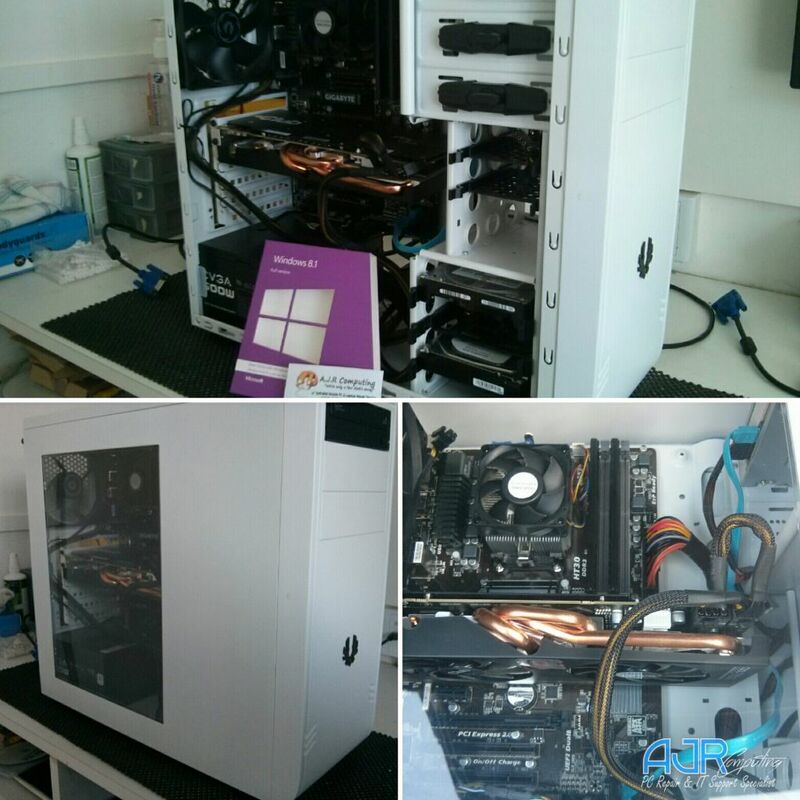 Don't fancy a desktop computer? thinking about purchasing a new laptop? before you rush out to the big box store, Give AJR a try we have a select few suppliers who we have worked with for years and they always supply us with some great deals at trade prices and because we order parts and stock in bulk they are normally willing to give a decent discount off new laptops and we pass that saving on to our customers. 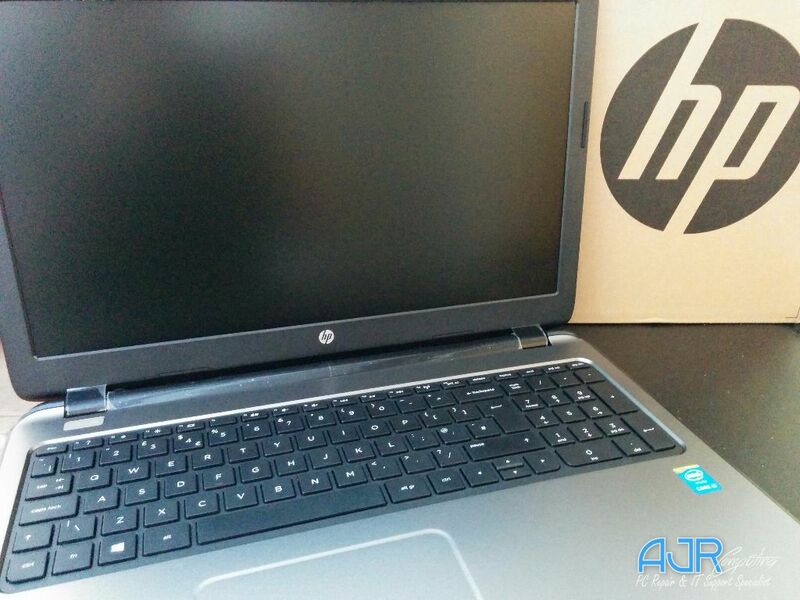 And thats not all AJR will fully set up your new laptop and deliver it to you connect it to your internet configure your printer. 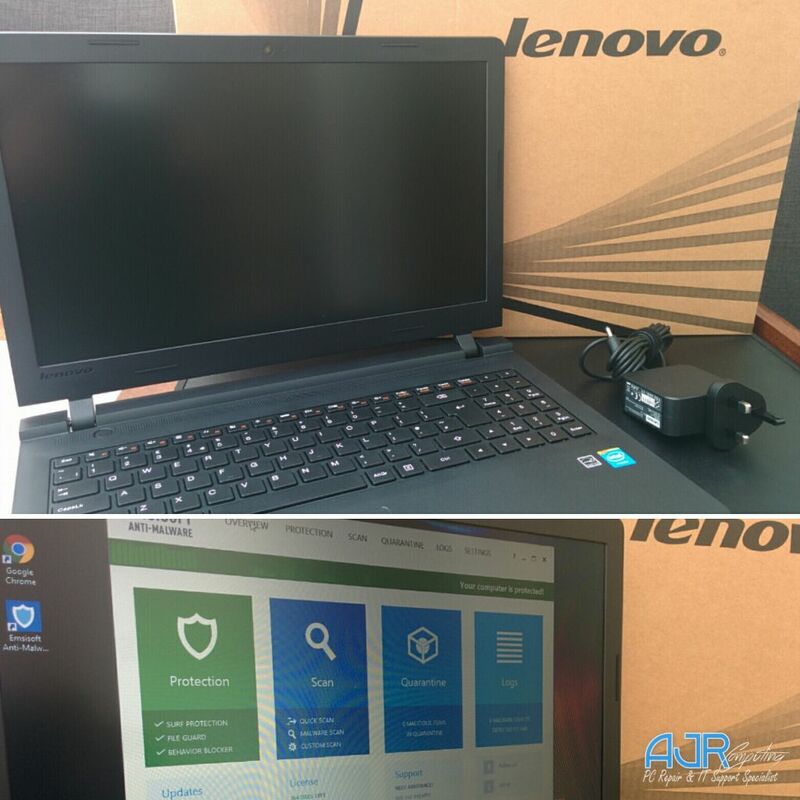 You also have the choice to have Microsoft office suite and Emsisoft Anti-Malware Protection all setup and configured by AJR. 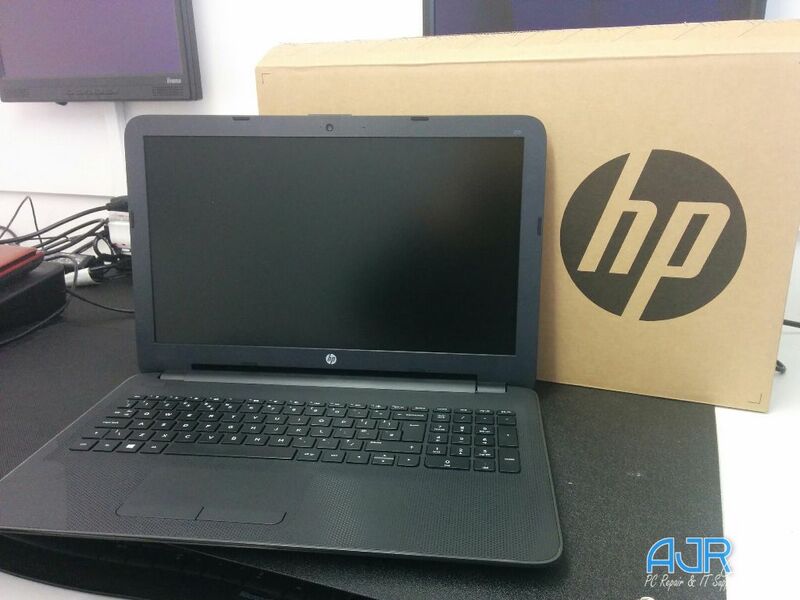 If your interested in a Laptop Computer contact AJR today and we can check with our suppliers on the best deals available. Interested..? Want To Find Out More Information..? 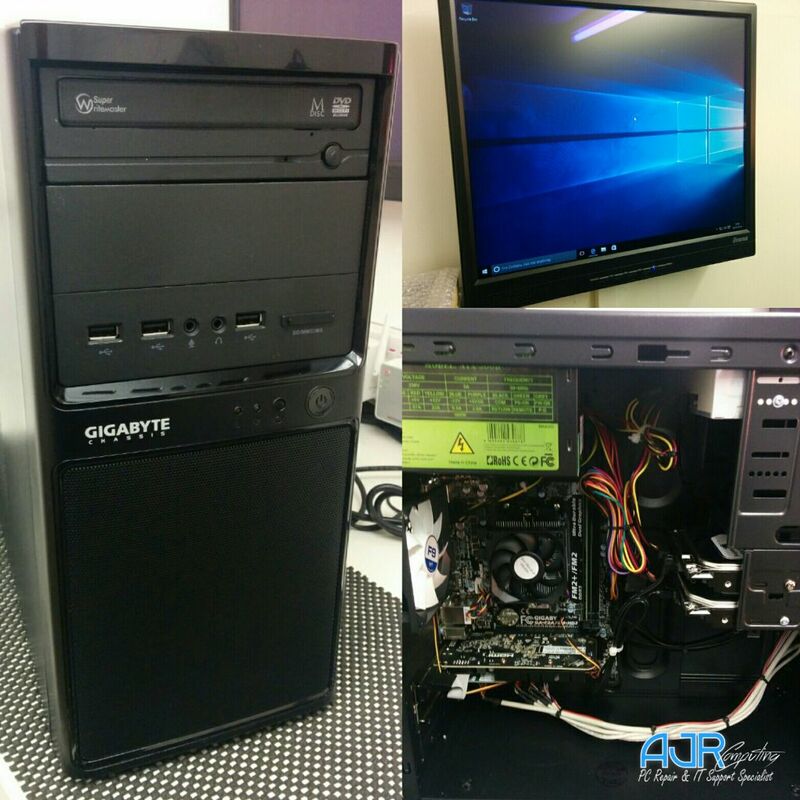 Get In Touch With AJR About Building You a Custom Built Computer System!